Energy meters are being upgraded in every home at no additional cost between now and 2020. This is an essential digitisation to our energy system which will make it more sustainable and fit for the future. Smart meters are being installed in homes across the country, a once in a generation appointment. Allowing your staff to make this appointment won’t just benefit them, but also your business and the nation. Smart meters are creating more energy conscious households, who are saving energy at home – behaviour which could translate to the workplace. Today, the analogue energy system in homes is not supporting employees to be conscious energy users in the workplace. Research by the Carbon Trust has found that only 22 per cent of employees are confident that they know what actions to take to save energy at work. The savings could also be significant – with the same research estimating that businesses could stand to save 10 per cent on their energy costs by driving employee behaviour change. But with no visibility over energy use and its cost in the home, it’s not surprising that people have a lack of confidence to act at work. The new meters, being installed at no additional cost by energy suppliers, are empowering households to take more control of their energy use. The smart meter technology offers households real time information on energy use in pounds and pence, and an end to estimated energy bills. This Information is making households more energy conscious and empowering them to change their energy use behaviour. Eight in ten people with smart meters have taken at least one step to use less energy and over 70 per cent report they are more conscious of the energy they are using. This behaviour could translate to the workplace, with employees knowing what action to take to save energy. Through the smart meter upgrade, it’s estimated Great Britain will save 32.7 million tonnes of CO2 emissions. In addition to these initial savings, smart meters are supporting the move to more renewable forms of energy and the development of the low-carbon economy. A smart grid, powered by smart meters and their data, will be essential as renewable forms of energy account for a greater proportion of our energy generation. As the use of electric vehicles also becomes more widespread, additional energy generation will be needed to power this technology. Without investing billions in new forms of power, a smart grid will allow the better management of our energy supply and demand – ensuring the lights stay on. And a resilient and reliable energy system is essential to modern life. Smart meters are putting in place the foundations for this, and are an essential part of Britain’s low-carbon future. This is also recognised by business leaders, with 86 per cent saying that smart meters are important for Britain’s economy. The digital energy upgrade is bringing huge benefits to businesses, employees and the nation. 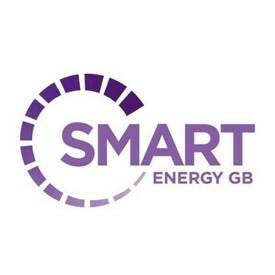 We are calling on employers large and small to support the smart meter rollout by letting staff have time off to get smart meter installations and by giving them information about how they can benefit from the technology.